Cade Sura holds the future of the galaxy in his hands: the ultimate weapon that will bring total peace. He didn't ask for it, he doesn't want it, and there's no worse choice to wield it in all of space, but if he doesn't, everyone's totally screwed. The evil Praxis kingdom is on the cusp of having every star system under its control, and if that happens, there'll be no contesting their cruel reign. Especially if its fanatical overlord, Ga Halle, manages to capture Cade and snag the all-powerful weapon for herself. 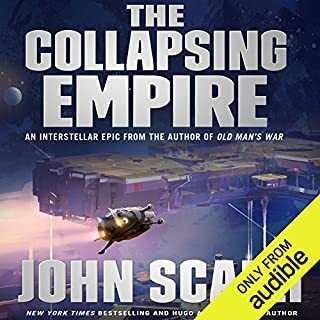 Adda and Iridian are newly minted engineers, but aren't able to find any work in a solar system ruined by economic collapse after an interplanetary war. 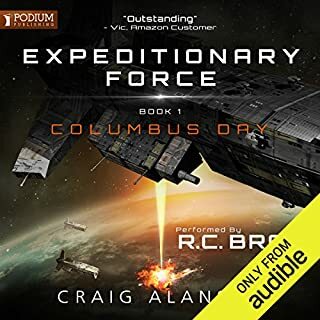 Desperate for employment, they hijack a colony ship and plan to join a famed pirate crew living in luxury at Barbary Station, an abandoned shipbreaking station in deep space. But when they arrive there, nothing is as expected. The pirates aren't living in luxury - they're hiding in a makeshift base welded onto the station's exterior hull. Love story or sci fi story? Frey is the captain of the Ketty Jay, leader of a small and highly dysfunctional band of layabouts. An inveterate womaniser and rogue, he and his gang make a living on the wrong side of the law, avoiding the heavily armed flying frigates of the Coalition Navy. With their trio of ragged fighter craft, they run contraband, rob airships, and generally make a nuisance of themselves. So a hot tip on a cargo freighter loaded with valuables seems like a great prospect for an easy heist and a fast buck. Until the heist goes wrong, and the freighter explodes. Firefly meets Steampunk perfection. Why no book2? The Keiko is a ship of smugglers, soldiers of fortune and adventurers, travelling Earth's colony planets, searching for the next job. And nobody talks about their past. But when a face from Captain Ichabod Drift's former life sends them on a run to Old Earth, all the rules change. Trust will be broken, and blood will be spilled. This was a light, entertaining story. But for a few twists, it could easily be the story of some other ship and crew in the Firefly universe. I don't mean that as a criticism; the story is action-packed, well told with some interesting characters....just like Firefly. Brooks does a great job of mixing back story with fast paced action. The narration is excellent; Lynch does a great job with different accents and voices. Pacing is a bit fast but not really a problem. It appears to be the first in a series: I will definitely be back for more. I'm ok with tropes as they are familiar and comforting. However when the author uses a cliche to describe character annd plot points as a crutch so they don't have to actually spend effort writing something creative. That's not very enjoyable to read. Also the narrator is particularly bad... from half hearted to muddled accents to poor attempts at stage whispering or shouting. There are a couple of scenes where a character slips into another persona to con or trick someone ... but despite the book explaining what accent or speech pattern he is using to pretend to be someone else... the narrator basically uses the same voice... except one version has a slight sore throat, the other a stuffed nose. You should definately give this one a try. 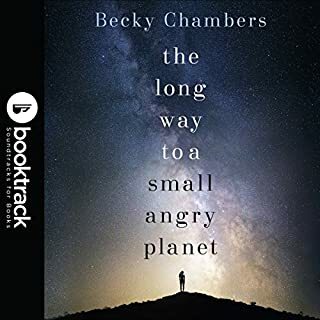 It's fairly rare when I bother to do written reviews of books. I like them or don't like them to varying degrees and don't feel like it's important to tell people why I like them. That and I don't much like having to analyze a book I read for enjoyment because it wrecks it for me sometimes. This book, I wanted to do at least a little something for. I don't think it's had enough praise personally. Damien Lynch did an amazing job bring this story to life. He's an excellent narrator and I have enjoyed the books I have that he has done. There are a lot of people that compare this to Firefly*. It does have some of the things I valued most about Firefly such as the interplay of characters. You'll find a similar layout. A Captain that's got a past and a mostly stable moral compass...maybe it wobbles a little, sometimes. A strong female first mate or whatever you'd deem her, an amazing pilot, a talented engineer, and a mercenary. There are also characters that aren't exactly dups of the crew. Such as the tech wizard (I know sort of River, but not) and the gentle giant (sort of like Shepherd Book, but not). We have the tropes in other words. Having said that, let me pause for a moment in this review (if you don't want to read my rant skip one paragraph). Some reviewers I have seen seem to think it's a sin or in some way degrading to note tropes in authors writing. Why? Tropes are an easy way for us puny humans to understand the world around us. They help writers build stable stories. The problem with tropes is when they are over used or too predictable. When EVERY $#%& @$*% *$#@ &%$# time you turn on the TV or open a book you find yourself SO UNGODLY BORED with the entire %$&#ing universe because you already know how the book or show ends within 5 minutes of watching or 10 pages of reading. Some people prefer this and that's fine, for them, for me, I need to be kept guessing. It's one thing to have a framework so you know, to move into the construction world for a moment, this building is going to be a rectangle and have 3 floors. However, If I open a book and already know, for the sake of the example, that there are going to be 3 bathrooms, 2 hot tubs, 65 windows, 35 doors, 6 different carpets coming in blue, green, turquoise, violet, puce and yellow (swatches with paint samples for each room available to the left). The siding will be an off blue and the shingles will be gray and slightly concave...then I don't really need to take your tour do I? Anyway, review back on. I loved the interplay Mr. Brooks built into the characters. The silent histories he was able to fold in and expand upon as needed. For to my understanding a virtually new author to build such a beautiful interplay is amazing. I'm sure editing, alpha and beta readers will have had something to do with it, but you can do all the editing and rereading you want, but if the writer doesn't have what's needed in him or her to pull that information in and push it out better, then there really is no point and no help for it. This is NOT a Firefly dup or knock off as I have seen sometimes, but I'd say it has a neighboring soul. I don't do the best reviews because I don't do them often, as noted at the beginning of this whole huge thing. The best I can say is if you haven't tried this book, you should. If you're good at reviews, do it. It's worth it, in my opinion. * For those who aren't quite as much of a geek as me, Firefly was an American Space Western Drama series that ran from 2002-2003 on Fox written and directed by Joss Whedon. You may have a better idea of the world if you saw the 2005 film adaptation Serenity. I first picked this book simply based on the cover, sci-fi setting and book blurb... Never heard of the author before. WOW... This entire series needs to be a TV show or a three picture deal. It was great, the pacing, characters, and feel of the gritty Universe. A stellar read even on the second run. Dark Run was well thought out. Damian Lynch did a great job at narrating the story. Good story of derring do. Would you try another book from Mike Brooks and/or Damian Lynch? Maybe. It is good for its type, then I prefer my sci-fi a bit "harder". It's almost fan fiction but is solid enough to stand on its own. We get echoes of the Expanse as well. 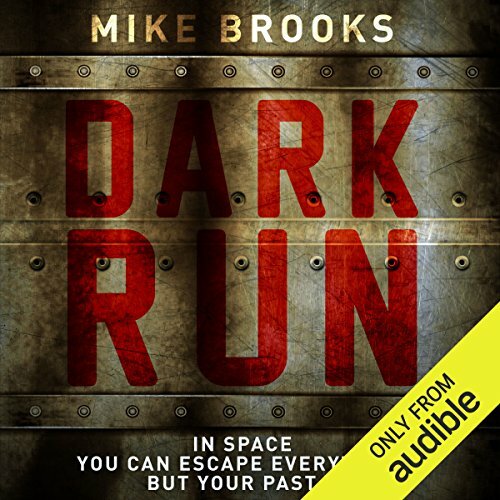 If you could sum up Dark Run in three words, what would they be? Lynch carries off multiple accents with ease. i never had difficulty remembering which character was speaking. this is quite a feat considering there were 7 crew members who featured throughout, and a wide assortment of supporting characters. 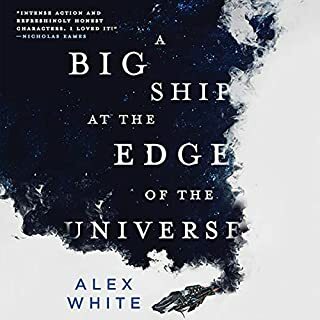 i would recommend this to fans of Firefly, The Lies of Locke Lamora, Oceans 11, Leverage, etc... it is fluff and it is just plain fun. Move along folks. Nothing interesting here. Not one original idea, not one fresh character, not one contribution to your store of meaningful information. Instead, a lackluster story of paper-thin characters and story lines so easy to predict that there's never a high point - just a plodding series of clearly foreseen bumps in the road. Two great things worth reading: great character development and clever story. Would stop after first book. Second book not as good. 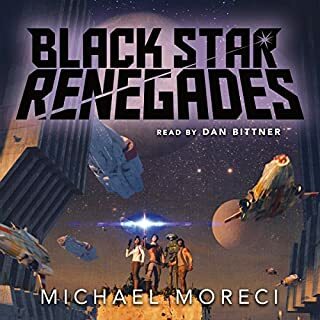 If you liked Firefly you’ll probably like this book. The author’s exposition is as subtle as a brick at times, but it’s a well told tale even if the confrontation with the villain is a bit of an anti-climax. Honestly the story was pretty good, but the narration was a bit of a lame duck. The characters all appeared to have a west African or Jamaican accent no matter where in the world (or galaxy) they were from. It constantly jarred me out of the story and at times just made me want to switch off and stop listening. 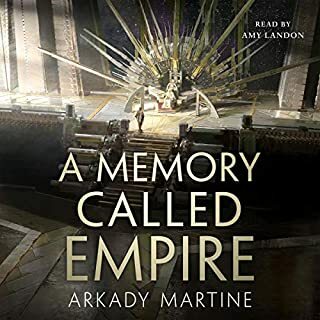 Not sure I’ll be digging out book 2 of this series, at least the audible version..